Ryerson Esports has a new president and for the first time, it’s a woman. But it isn’t a big deal for her. Sitting nonchalantly on a chair in the Rogers Communications Centre at Ryerson University, Siobhan Liu, formerly the vice-president, shrugs. Ryerson Esports is a mixed gender athletic club that was created in 2016. Now, only three years later, they have nine teams for nine different games: League of Legends, Overwatch, Counter-Strike: Global Offensive (CS:GO), Rocket League, Hearthstone, Fortnite, Super Smash Bros., Tom Clancy’s Rainbow Six Siege and Dota 2. Across Ryerson’s teams for all nine games, only one player is female. But for Liu, it’s not a matter of gender. It’s a matter of skill. The relationship women have with games shouldn’t be viewed differently than their male counterparts, said Carleton University professor Victoria McArthur, an expert on video game design and a gamer herself. That competitiveness and skill is exactly why the manager of the Rainbow Six team, Michelle Dervishi, also plays on the team. The problem isn’t that women don’t want to play games, McArthur said. Forty-nine per cent of Canadian gamers are female according to a 2016 survey conducted by the Entertainment Software Association of Canada. However, McArthur added, gender stereotyping is still prevalent in the gaming industry. That’s why Dervishi sometimes chooses not to use her microphone option on online multiplayer first-person shooter games like Rainbow Six and CS:GO. In such fast-paced games, however, it’s crucial she communicates with her teammates to let them know where the enemy team is – it’s a matter of life or death for her character. Dervishi said she’s had bad experiences with people hearing her voice and making sexist remarks over the in-game microphone chat. It happens once every few days. Sometimes, if it gets bad enough, she’ll just mute them. But at the end of the day, she said that this toxicity is merely part of playing competitive video games and usually she just shrugs it off. Judy Ngo, manager of Ryerson’s League of Legends team, also plays the game in her spare time but, unlike Dervishi, isn’t a player on the Ryerson team. While Ngo loves managing the team, she hopes to improve her skill and rank to make it onto the team in the future. Similarly, Dervishi just wants the best of the best on her team. 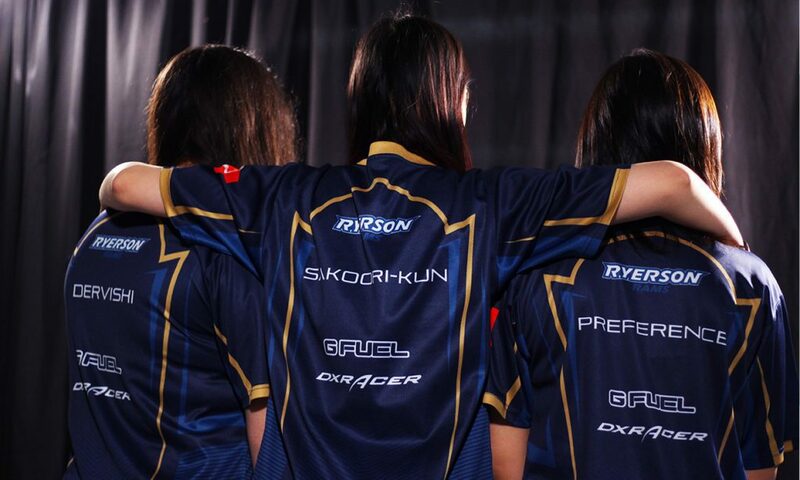 Ryerson Esports’ president, Liu, said she wants to end the “stigma that girls can’t be part of Esports,” citing the number of women in the club’s auxiliary positions. At the end of the day, she said, it’s up to the individual person to want to prove their skill and show that they deserve to be on a team. Women playing video games isn’t a big deal. Nor should it be, Ngo explained. And if you’re a gamer, Ngo continued, you’re here to play games – regardless of your gender. This audio story was part of the Ryersonian This Week podcast for Feb. 15, 2019. In it, Jasmine Bala explores the role women have in online gaming. Jasmine Bala is a video producer at the Ryersonian for Winter 2019. She will be graduating from Ryerson's Bachelor of Journalism program in June 2019. Connect with her on Twitter @JasmineBala_.